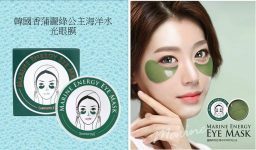 Korea’s Brand- SHANGPREE Eye Masks, help increase elasticity, wrinkle resistance, whitening, and dark circles efficacy. They can also be applied to the forehead, and neck to give your skin plenty of moisture. Apply the eye mask for 30 minutes at each use, after a week your skin will be greatly improved!